You might have seen that Chelsea magazine and the official website are doing a poll at the moment, they are asking fans who their favourite Chelsea player of all time is and it got me thinking. Gianfranco Zola is my favourite player, it’s an almost automatic response. The man was a footballing genius and an absolute gentleman. He was also the man I voted for as Chelsea’s greatest ever player during the club’s centenary poll, an accolade which of course he won. When it came for the vote this time round I had to do a bit of soul searching with my choice. Frank Lampard has won everything for us, consistently been brilliant, few others have ever worn the beloved shirt more times than him and later this season, with a prevailing wind, he might just become Chelsea’s all time leading goal scorer. Didier Drogba has scored more cup final goals than Roy of the Rovers and is undoubtedly one of the greatest ever players to have donned the blue of Chelsea. John Terry has been a colossus at the back, a warrior and a leader, and has captained us to more trophies and more victories than any other player in our history. Since 2005 we’ve seen Petr Cech and Ashley Cole perform heroics. All modern day legends, all worthy of my vote. Yet still I plucked for Zola. Sure, Zola’s list of achievements at Chelsea were impressive. 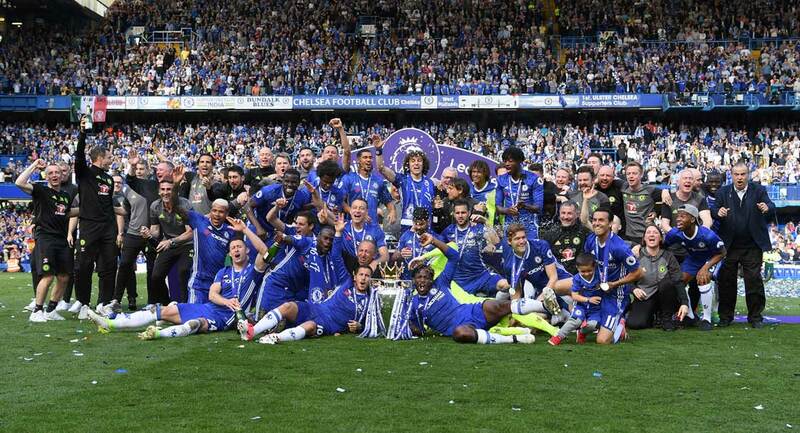 There were the trophies – the FA Cups, League Cup, Cup Winners Cup and Super Cup. There were the goals and performances that propelled the club into the Champions League for the first time in our history, that made Chelsea genuine challengers in the league. There were the individual honours like the Football Writer’s Award in 1997, Zola being the only player ever to so without playing a full season in the league. But sometimes it’s worthless to judge a player by their stats or their roll of honour. Zola is still regarded as one of our greatest ever players because, simply, he was a joy to watch play football. He brought a smile to your face, he entertained, he showed amazing skills that made you sit up. The audacious back heel flick against Norwich, the delicate chip for Poyet’s scissor kick, the dance through Manchester United’s defence, the thunderous goal that won us the Cup Winners Cup, the swivel and turn against Wimbledon in the Cup semi-final, those curling free kicks that bulged into the top corner – I could go on. It was those moments of magic that fans travelled for, bought a match ticket for and will always treasure. Still, when I thought about it, haven’t we got such a diminutive genius currently in the side? A player who made an instant impact in his first season and took us to an unlikely cup final win (or two in fact)? Well, Juan Manuel Mata García is an inch taller than Zola’s 5 ft 6 in frame and he wears number ten, not the unofficially retired twenty five. But he is a genius and he is a gentleman. He made an immediate impact, coming off the bench to score on his debut against Norwich. That wonder volley against Manchester United, the twenty five yarder against Arsenal, that cheeky back heel to Ashley Cole against Stoke, the slide rule pass to Eden Hazard, the one-two and finish against Wolves. Mata might not have won the football writers over in his first season but he won the fans over, winning the Player of the Year award. This season he might be under the radar again in terms of press recognition but not so for us fans. He works hard for the team and has a never say die attitude. He shows unbelievable vision, skill and creativity and can light up any match at any time. That’s why we follow Chelsea, that’s why we love football – those moments of magic. Mata is a player that can leave fans a bit awe struck in the stands, just as Gianfranco did. I’m not trying to unfairly compare Chelsea’s greatest ever player with a player who’s only had one season with us but I wondered if this poll was in held another five or ten years time could my vote go to Juan Mata? He might not be the new Franco Zola but he might just be my new favourite player.